MGA SHAMBLE Saturday February 18th. Entry Fee $25 plus cart fee. Teams will be picked the morning of the tournament. Shamble Rules: Each player hits a drive. Players select the best drive. Each player will play his/her own ball from the selected drive for individual score. 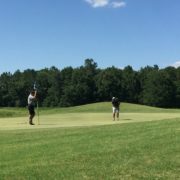 The team will record the best 2 balls of the four players on each hole. Stop by the proshop to sign up or give us a call at 386-752-3339. 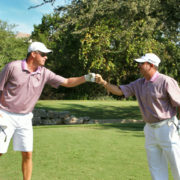 Come join us at Quail Heights CC and Two Fat Guys for dinner and cosmic putting on Friday February 3rd at 6:00pm. We will be serving 12oz Ribeye $14.99, 16oz Ribeye $16.99 8oz Grilled Chicken $9.99 or Salmon $11.99. Dinner includes choice of two sides, salad bar and dessert. 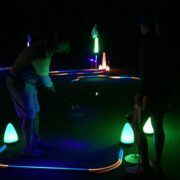 After dinner step outside on the putting green under the stars for some cosmic putting on a 9 hole course. 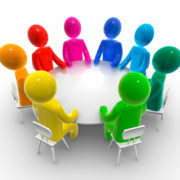 MGA meeting tonight 6:30pm in the lounge. Don’t miss out on all the upcoming events at the club.